BELIZE CITY, Thurs. Mar. 3, 2016–Citrus Products of Belize Ltd. (CPBL) has reported that it is unable to meet the citrus growers’ fruit cheque payment for this week. This was revealed in a joint press release issued from the Belize Citrus Growers Association and CPBL. The release went on to say that this problem is as a result of CPBL’s application to Heritage Bank for working capital finance not yet being approved by the Central Bank of Belize. Kent Herrera, Chief Financial Officer (CFO) of CPBL, told Amandala that the working capital is something they apply for annually. It is a short-term loan that is repaid within six months or at the end of, the crop period, Herrera said. 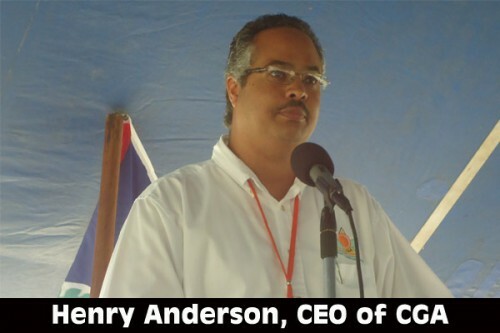 Henry Anderson, the Chief Executive Officer (CEO) of Belize Citrus Growers Association, told Amandala that the impact this cash crunch will have is enormous. Anderson said that when tomorrow comes and these growers can’t get paid, they, in turn, will not be able to pay the harvesters, the delivery trucks and the like. Herrera said that they will be able to meet payment for the growers the following week from their own cash flow, but if the loan is not approved by then that will mean that that week’s payroll will have to be deferred to pay the growers. At this point, Herrera said, they are able to process the fruits and supply their customers; however, he is unable to predict what further problems will result if the loan is delayed for more than two weeks, and he is hopeful that it will not go beyond that period. Herrera said that 97% of their products are exported; therefore, further delays will also pose a problem for their export market. This problem, he said, creates a domino effect where the economy, the growers, and right down to their children are hurting.